Secretion of protein products occurs by a number of different pathways in bacteria. One of these pathways known as the type IV pathway was first described for the IgA1 protease. The protein component that mediates secretion through the outer membrane is contained within the secreted protein itself, hence the proteins secreted in this way are called autotransporters. This family corresponds to the presumed integral membrane beta-barrel domain that transports the protein. This domain is found at the C-terminus of the proteins it occurs in. 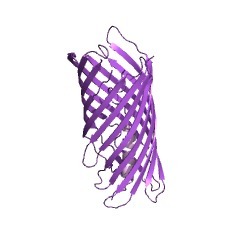 The N-terminus contains the variable passenger domain that is translocated across the membrane. Once the passenger domain is exported it is cleaved auto-catalytically in some proteins, in others a different peptidase is used and in some cases no cleavage occurs. Secretion of protein products occurs by a number of different pathways in bacteria. One of these pathways known as the type V pathway was first described for the IgA1 protease [(PUBMED:3027577)]. The protein component that mediates secretion through the outer membrane is contained within the secreted protein itself, hence the proteins secreted in this way are called autotransporters. This family corresponds to the presumed integral membrane beta-barrel domain that transports the protein. This domain is found at the C terminus of the proteins it occurs in. 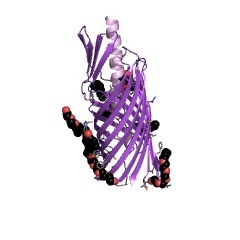 The N terminus contains the variable passenger domain that is translocated across the membrane. Once the passenger domain is exported it is cleaved auto-catalytically in some proteins, in others a different protease is used and in some cases no cleavage occurs [(PUBMED:9778731)]. There are 30195 Autotransporter domains in 30194 proteins in SMART's nrdb database. Taxonomic distribution of proteins containing Autotransporter domain. This tree includes only several representative species. The complete taxonomic breakdown of all proteins with Autotransporter domain is also avaliable. Click on the protein counts, or double click on taxonomic names to display all proteins containing Autotransporter domain in the selected taxonomic class. Structure of the translocator domain of a bacterial autotransporter. Autotransporters are virulence-related proteins of Gram-negative bacteriathat are secreted via an outer-membrane-based C-terminal extension, thetranslocator domain. 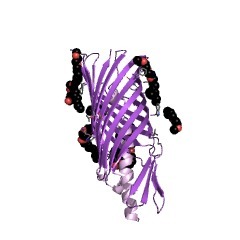 This domain supposedly is sufficient for thetransport of the N-terminal passenger domain across the outer membrane. 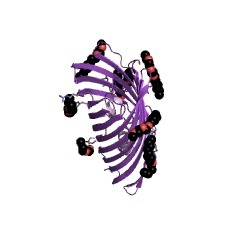 Wepresent here the crystal structure of the in vitro-folded translocatordomain of the autotransporter NalP from Neisseria meningitidis, whichreveals a 12-stranded beta-barrel with a hydrophilic pore of 10 x 12.5 Athat is filled by an N-terminal alpha-helix. The domain has pore activityin vivo and in vitro. Our data are consistent with the model ofpassenger-domain transport through the hydrophilic channel within thebeta-barrel, and inconsistent with a model for transport through a centralchannel formed by an oligomer of translocator domains. 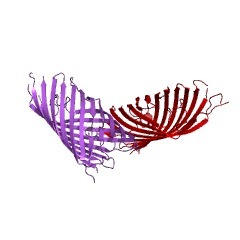 However, thedimensions of the pore imply translocation of the secreted domain in anunfolded form. An alternative model, possibly covering the transport offolded domains, is that passenger-domain transport involves the Omp85complex, the machinery required for membrane insertion of outer-membraneproteins, on which autotransporters are dependent. Export of autotransported proteins proceeds through an oligomeric ringshaped by C-terminal domains. An investigation was made into the oligomerization, the ability to formpores and the secretion-related properties of the 45 kDa C-terminal domainof the IgA protease (C-IgAP) from Neisseria gonorrhoeae. 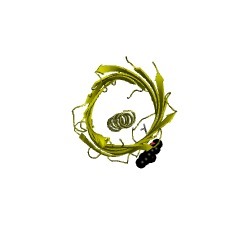 This protease isthe best studied example of the autotransporters (ATs), a large family ofexoproteins from Gram-negative bacteria that includes numerous virulencefactors from human pathogens. 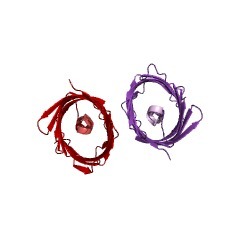 These proteins contain an N-terminalpassenger domain that em bodies the secreted polypeptide, while theC-domain inserts into the outer membrane (OM) and trans locates the linkedN-module into the extracellular medium. 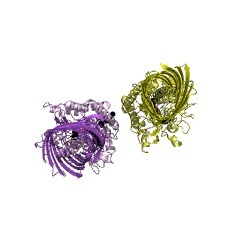 Here we report that purifiedC-IgAP forms an oligomeric complex of approximately 500 kDa with aring-like structure containing a central cavity of approximately 2 nmdiameter that is the conduit for the export of the N-domains. These dataovercome the previous model for ATs, which postulated the passage of theN-module through the hydrophilic channel of the beta-barrel of eachmonomeric C-domain. 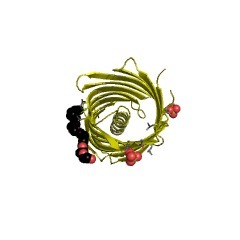 Our results advocate a secretion mechanism not unlikeother bacterial export systems, such as the secretins or fimbrial ushers,which rely on multimeric complexes assembled in the OM. The great escape: structure and function of the autotransporter proteins. The autotransporters, a family of secreted proteins from Gram-negativebacteria, possess an overall unifying structure comprising threefunctional domains: the amino-terminal leader sequence, the secretedmature protein (passenger domain) and a carboxy-terminal (beta-) domainthat forms a beta-barrel pore to allow secretion of the passenger protein.Members of this family have been implicated as important or putativevirulence factors in many Gram-negative pathogens. Gene structure and extracellular secretion of Neisseria gonorrhoeae IgAprotease. Several human bacterial pathogens, including the Gram-negative diplococcusNeisseria gonorrhoeae, produce extracellular proteases that are specificfor human immunoglobulin IgA1. Immunoglobulin A (IgA) proteases have beenstudied extensively and the genes of some species cloned in Escherichiacoli, but their role in pathogenesis remains unclear. Recently we deriveda DNA fragment of 5 kilobases (kb) from N. gonorrhoeae MS11 directingextracellular active enzyme in E. coli. Although the mature enzyme ofstrain MS11 was shown to have a relative molecular mass of 106,000 (Mr106K) in gels, the DNA sequence of this cloned fragment reveals a singlegene coding for a 169K precursor of IgA protease. The precursor containsthree functional domains, the amino-terminal leader which is assumed toinitiate the inner membrane transport of the precursor, the protease, anda carboxyl-terminal 'helper' domain apparently required for extracellularsecretion (excretion). Based on the structural features of the precursor,we propose a model in which the helper serves as a pore for excretion ofthe protease domain through the outer membrane. IgA protease acquires anactive conformation as its extracellular transport proceeds and isreleased as a proform from the membrane-bound helper by autoproteolysis.The soluble proform further matures into the 106 K IgA protease and asmall stable alpha-protein. This information is based on mapping of SMART genomic protein database to KEGG orthologous groups. Percentage points are related to the number of proteins with Autotransporter domain which could be assigned to a KEGG orthologous group, and not all proteins containing Autotransporter domain. Please note that proteins can be included in multiple pathways, ie. the numbers above will not always add up to 100%. 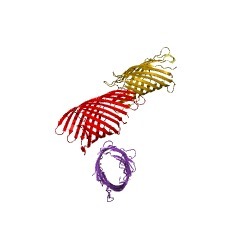 2qom The crystal structure of the E.coli EspP autotransporter Beta-domain.